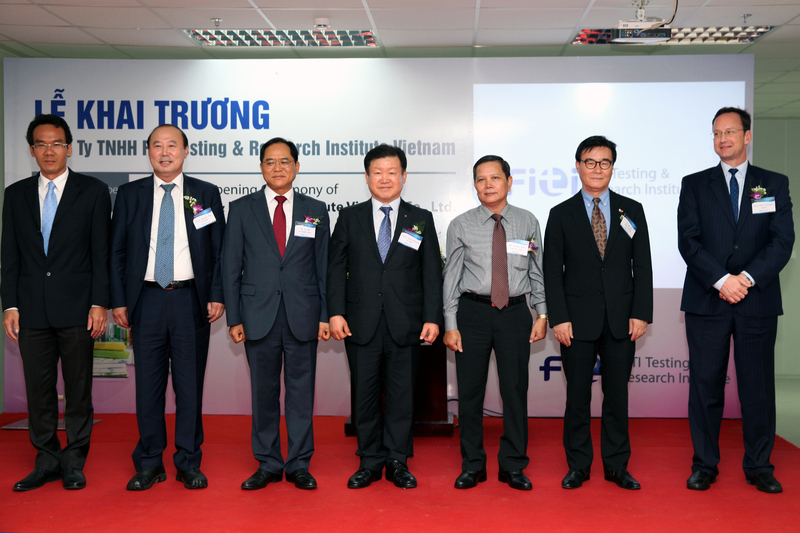 On November 6th 2015, FITI Testing & Research Institute held grand opening ceremony for its new Ho Chi Minh laboratory. The new branch, located in Long An Province, equipped with facilities including about 110 high-tech equipment used for testing and inspecting apparel and fabric. This is a second laboratory across the sea followed by first laboratory in shanghai branch, which was established in 2012. FITI Testing & Research Institute will play a greater role as testing demand is expected grow up due to TPP agreements recently ratified. Grand opening of Ho Chi Minh Laboratory will be a stepping stone to 1st global laboratory.